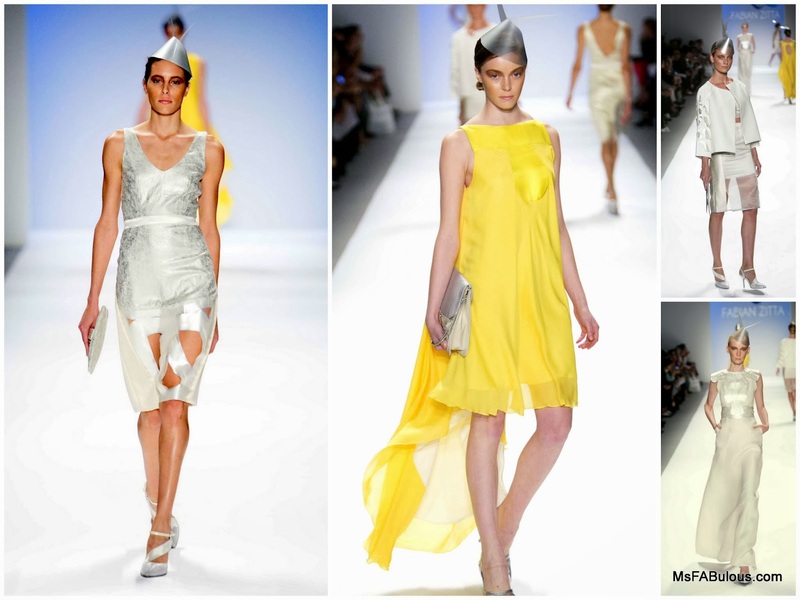 Space age style was offered up from Argentine designer Fabian Zita at Mercedes Benz Fashion Week. The collection offered up clean, flattering lines in contemporary silhouettes. The fabrics were semi sheer on bright white and sunny yellow. The collection was tied together with metallic silver handbags and jewelry. The models were given an alien vibe with metallic pointed hats that were chicly tilted. Fabian Zita has made the label an International presence. In addition to showing in New York, Zita shows in Milan and collaborated with Indian fashion organizations to promote Argentinian style as well. As a successful ambassador for the fashion industry, could the U.N. use a makeover as well?